Protection and performance are among the benefits delivered by these Extreme Kick-Out Steel RZR® Rock Sliders for yourRZR® XP 1000. These durable steel 1 ¾” steel tubes provide outstanding protection for your Polaris® side-by-side and their design enhances your RZR®’s off-road performance. Protection and performance are among the benefits delivered by these Extreme Kick-Out Steel RZR® Rock Sliders for yourRZR® XP 1000. 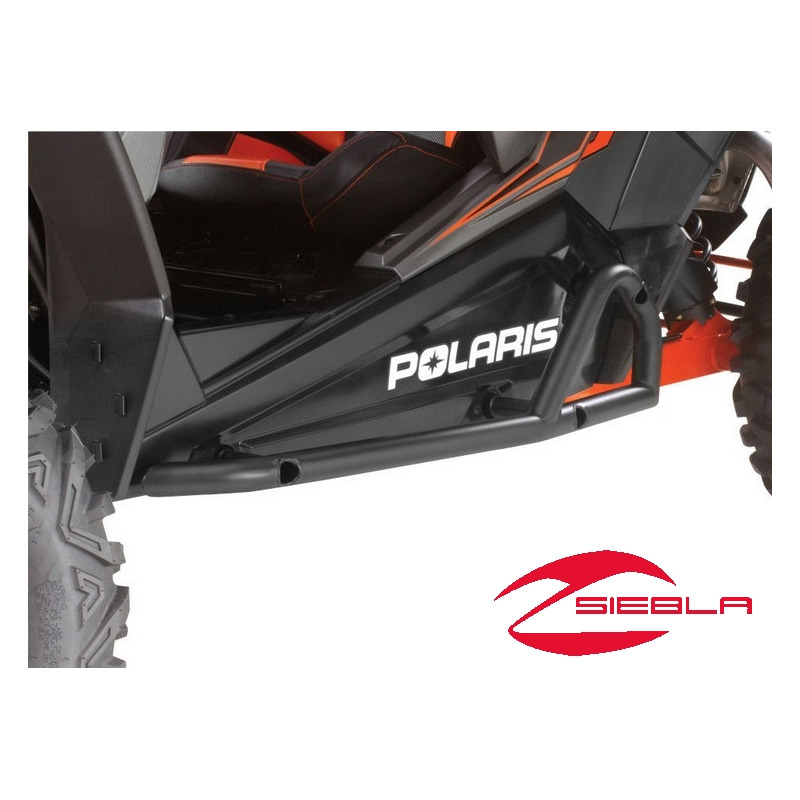 These durable steel 1 ¾” steel tubes provide outstanding protection for your Polaris® side-by-side and their design enhances your RZR®’s off-road performance. 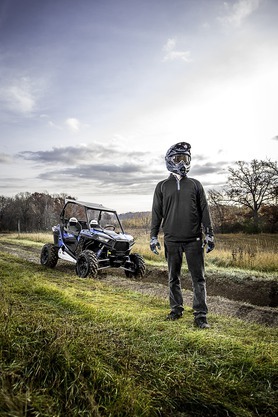 The design retains the full stock ground clearance as the Rock Sliders don’t extend below the bottom of the RZR®, and they are kicked out 5” to enable you to maintain momentum and while cornering around off-road obstacles. These rock sliders act as a buffer between the RZR® and protect the side and rear wheels from obstacles you may encounter on the trail. 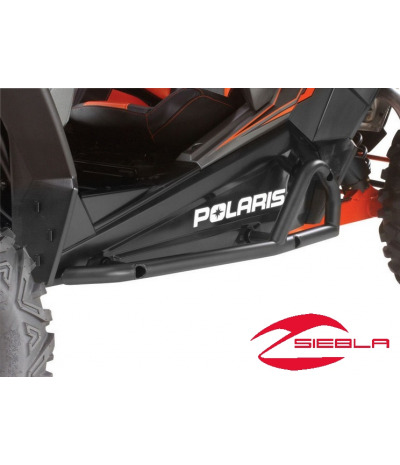 These durable steel tubes mount on the rocker panels of your Polaris® side-by-side quickly and easily, and they protect the RZR® against impact with rocks and other off-road obstacles. These RZR® Rock Sliders feature integrated styling to compliment the look of the RZR® XP 1000, and a durable black wrinkle finish like that of the vehicle’s framework. Includes: Left- and right-side Rock Sliders. Also available (each sold separately): Extreme Front Attachment (2879451-458), Low Profile Front Bumper (2879449-458), Extreme Rear Attachment (2879452-458), Low Profile Rear Bumper (2879450-458), Low Profile Rock Sliders (2879498-458), and Aluminum Roof (2879443-458).